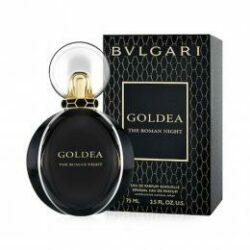 Bvlgari launches Goldea The Roman Night, the third fragrance in the Goldea line, in September 2017. Top notes: bergamot, black pepper, mulberry. Heart: black peony, night-blooming jasmine, rose, tuberose. Base: patchouli, black musk, vetiver, moss. The advertising campaign was shot in Rome with Bella Hadid. 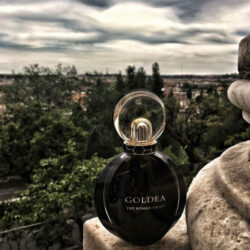 The fragrance is available in a round black bottle.